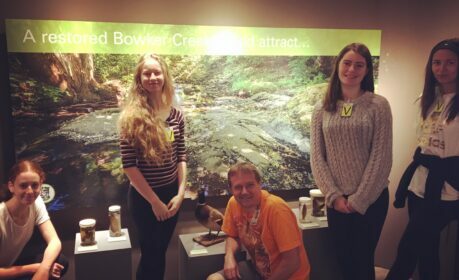 The restoration of Bowker Creek in 2015 produced an ecosystem with a winding creek water path, native plant species, and an outdoor classroom, providing educational and natural history opportunities for Oak Bay High school students as well as for members of the community. 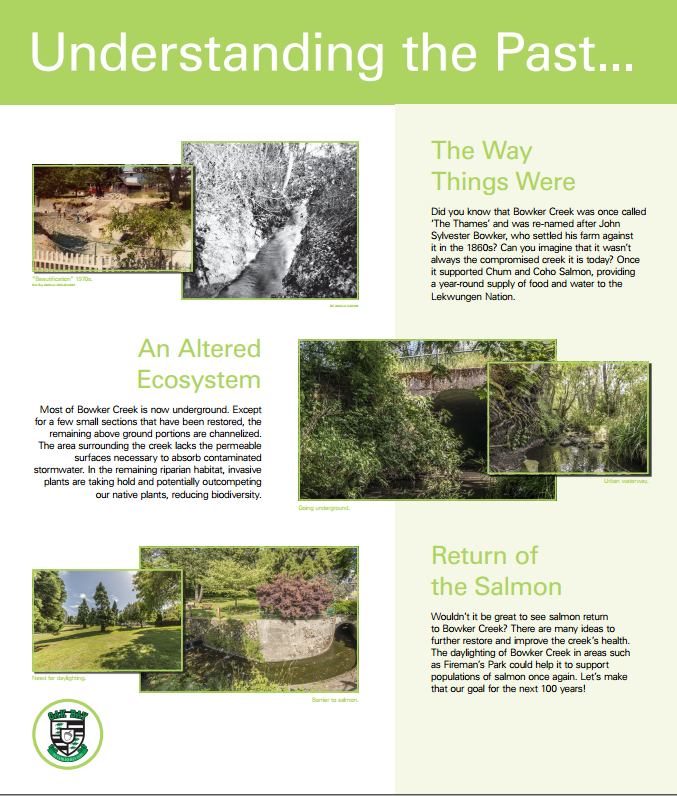 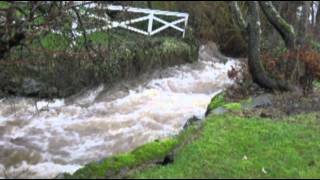 Bowker Creek Blueprint: A 100-year action plan to restore the Bowker Creek watershed. 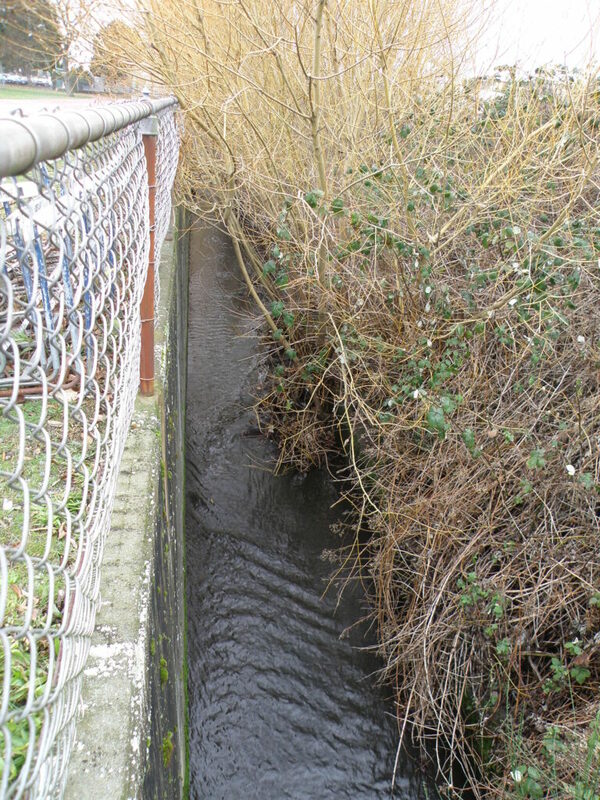 Prior to the restoration, the section of Bowker Creek passing by Oak Bay High school was a straight concrete-lined channel, with a small and steep riparian area, overgrown with invasive plant species. 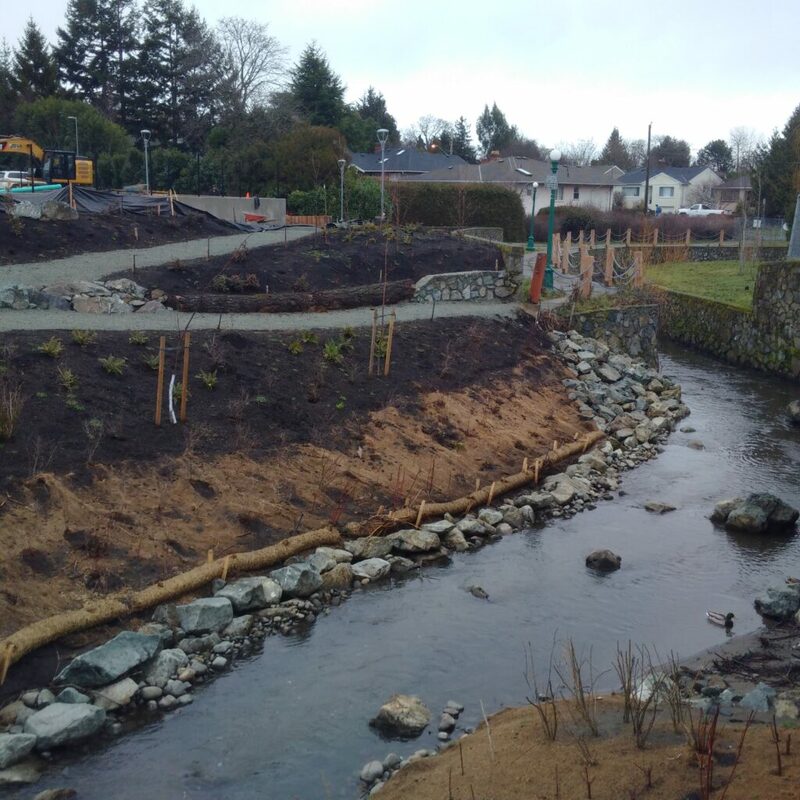 Moving from a straight concrete-lined channel, the new course of Bowker Creek is a meandering water course, more suitable for aquatic invertebrates. 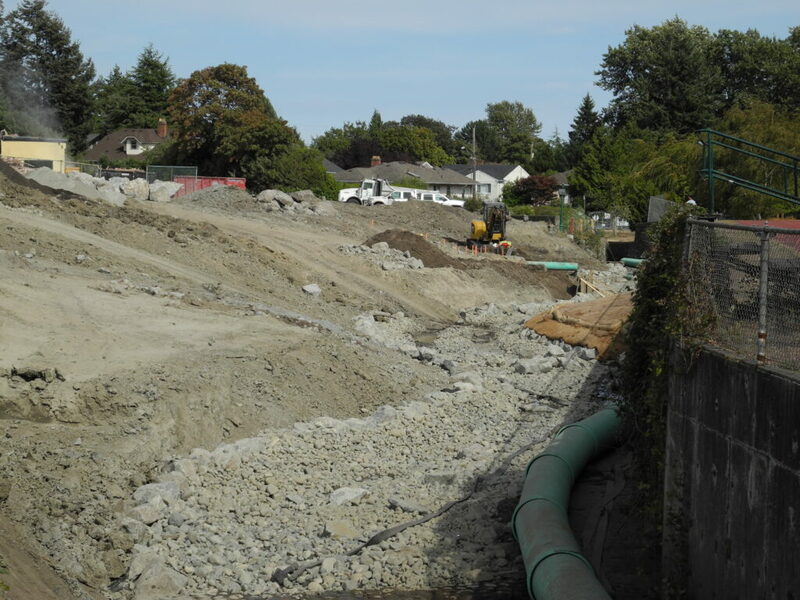 A key aspect of the restoration project continues to be providing a connection between the students of Oak Bay High School and Bowker Creek. 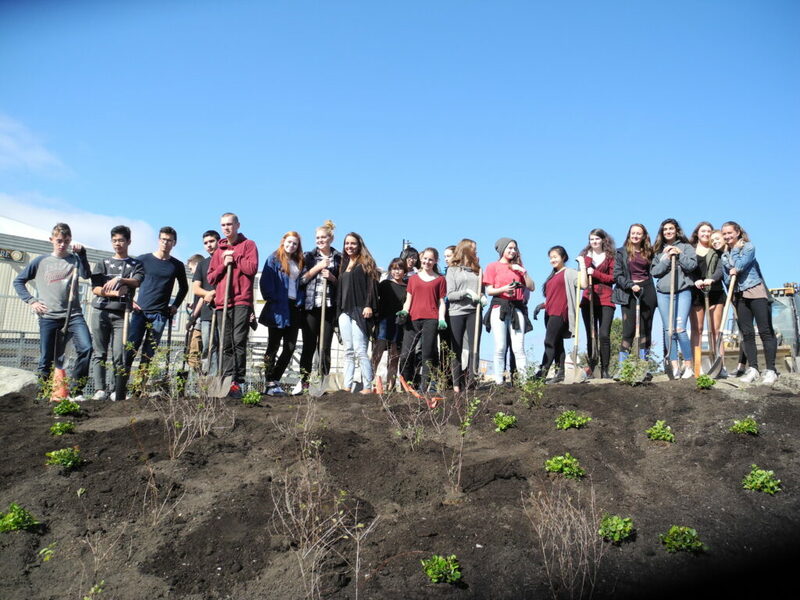 In the finishing stages of the project, students had the opportunity to participate in the plantings of the native plant species. 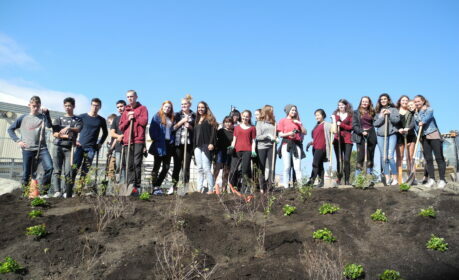 Construction is now finished! 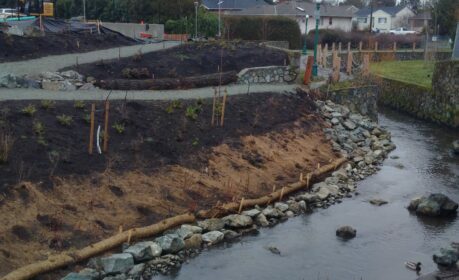 Matting is in place to hold riparian soil in place to prevent erosion, allowing the native plant species a chance to grow and provide natural bank stabilization. 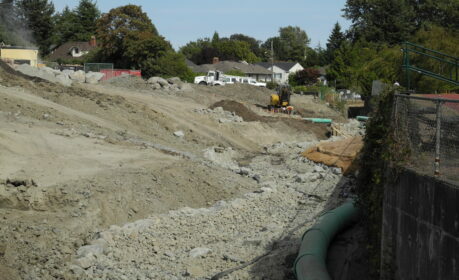 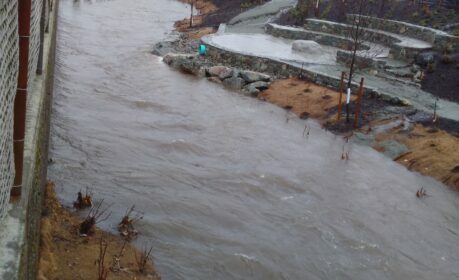 A purposeful part of the restoration was to have Bowker Creek once again mimic a natural water course. 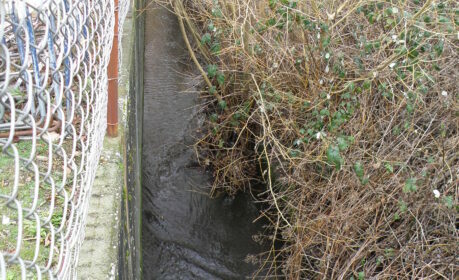 Prior to the restoration, the straight path of the creek created high velocities of water after a rain storm. 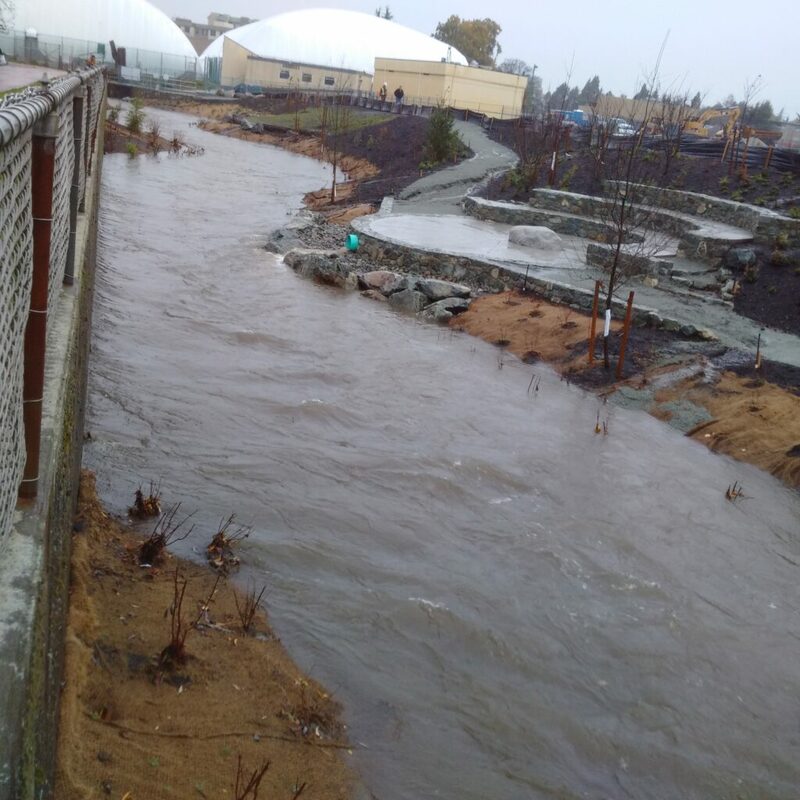 With the new creek pathway, the volume of water is slowed, allowing aquatic invertebrates not to be swept away as they once were. The outdoor classroom area is a key educational component to the outdoor classroom. 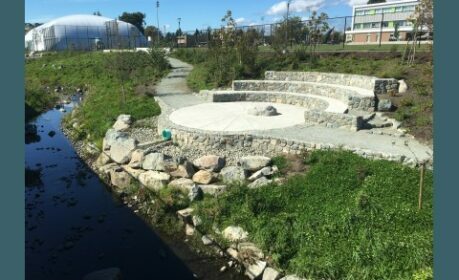 Intended to help foster a connection between the students and the Bowker Creek riparian ecosystem, its tiered seating area allows lessons to be taught outdoors, with students surrounded by the plants and animals being studied. 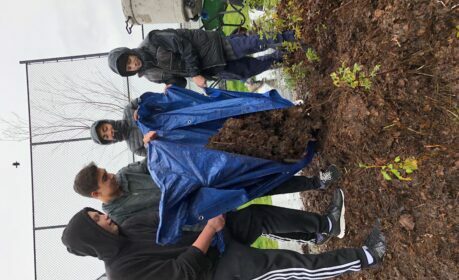 The students of the Sc 9 Discovery class partnered with the Ocean Studies class at Monterey Middle School in a school-museum collaborative project. 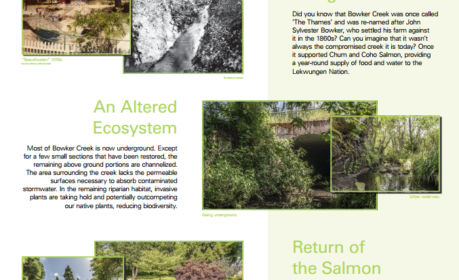 The project research and design focused on the driving question: How can understanding the health and history of a local stream ecosystem guide our future understanding of the world around us? 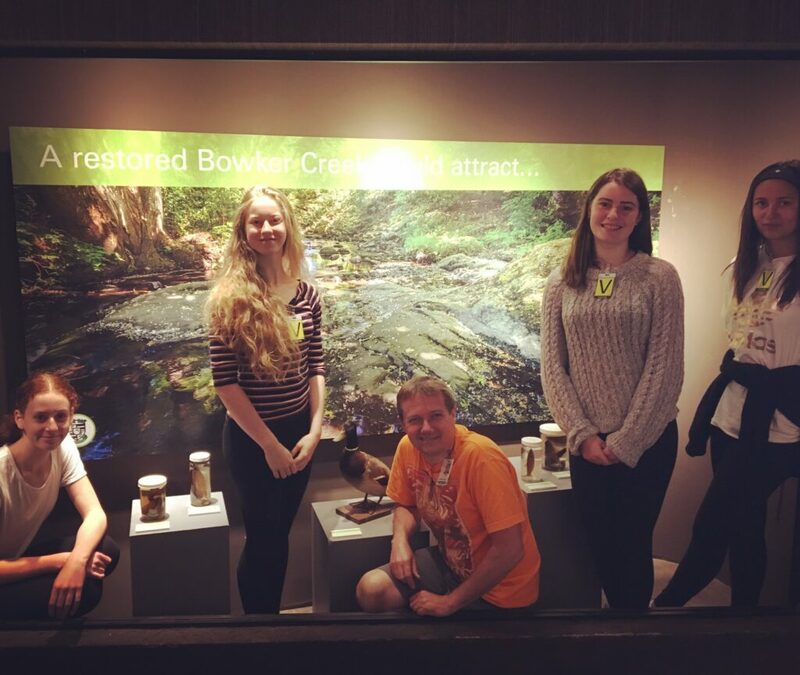 In addition to the project panels, students were also involved in working with the museum staff in doing a 'makeover' of the 'otter cave' display case. 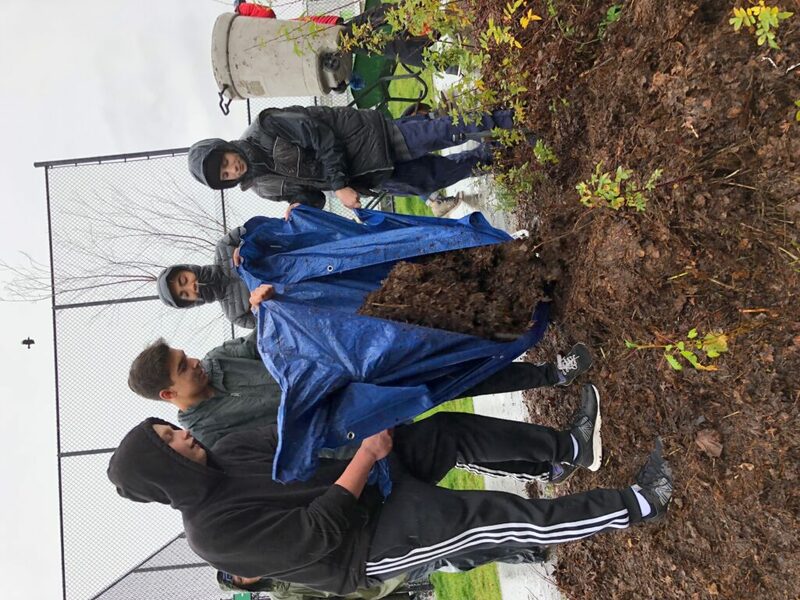 Students from the Sc 9 Discovery class helping to spread mulch down to keep reduce the spread of invasive plant species.